Cisco announced a set of 400Gbps Ethernet switches for the data center. While other vendors including Juniper and Arista made their launches earlier, Cisco says its switches, due to be delivered early in 2019, are "400G done right." There are four 400G switches in Cisco's Nexus range: two high capacity 12.8Tbps Nexus 400-S switches for webscale customers, and two lower capacity 6.4Tbps Nexus 9000-Gx switches for enterprise customers. 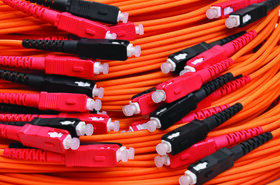 All use the QSFP-DD (Quad Small Form Factor – Double Density) for optical connectors. Cisco says this gives maximum flexibility and backward compatibility. It's also the same form factor offered by Juniper and Arista. 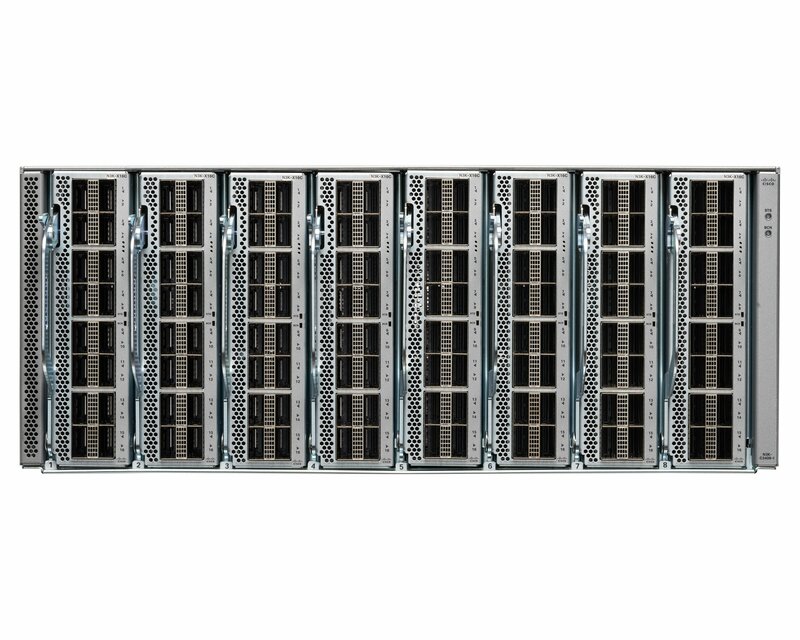 "These new switches pave the way for Terabit Ethernet switching to become a mainstream technology, driven by early adopters like webscale data center operators, large enterprise customers and 5G mobile operators," promised Thomas Scheibe, vice president of product management for data center networking in a Cisco blog. The two webscale 4300 switches are both built round the same single-chip 12.8Tbps ASIC, with a claim of 470ns latency. 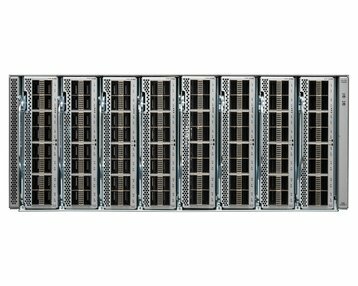 The 3432D-S packs 32 400Gbps ports into one rack unit (RU), while the 4308-S takes up four rack units to give a more flexible package to mix and match with lower speed ports. The enterprise switches are slower, with a 6.4Tbps fabric and, as with the webscale products, there are two models: the Nexus 93600CD-GX, 1RU switch with 16 400Gbps ports, and the 9315D-GX, also a 1RU switch, but with 32 ports to allow lower capacity links to be included. Cisco bills these as "400G done right," which means that the switches are compatible with all the Cisco proprietary network technologies for "app visibility, real-time analysis and troubleshooting." They integrate with Cisco’s Application Centric Infrastructure (ACI), Tetration, and Network Assurance Engine software. They also support Cisco's current favorite buzz-phrase, "intent based networking," The term was coined by Gartner in 2017, and seems to describe networks which are made more directly responsive to business needs, by adding DevOps to the underlying software defined networking (SDN) . Cisco and the other 400Gbps vendors have been cooperating in plugfests and standards development, so there should be no fear of incompatibility between the basic switching functions. 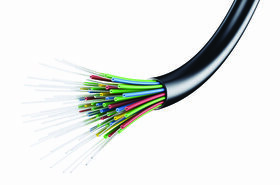 The QSFP-DD form factor for connectors appears to have won out over the OSFP design, which is larger, meaning fewer ports can be deployed in a given space, and not compatible with lower speed connectors.